The old switcharoo...Jake's Wayback Burgers ended up opening a location in VENTURA in early April 2013. More info at THIS LINK. 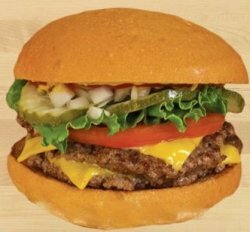 On Monday the Ventura County Star reported that Jake's Wayback Burgers will be opening a Newbury Park location "in two to four months." Jake's opened its first location in Delaware in 1991 and has expanded to 42 location in 12 states, none of which is anywhere close to California. However, QSR Magazine announced on December 31st that Jake's is expanding this year by franchising into a handful of new states, including 2 locations in Oregon and as well as the Newbury Park location. Jake's Wayback Burgers serves the best burgers under the bun, hand pattied from 100% fresh, never frozen ground beef and grilled to order. Jake's Wayback offers amazing shakes that are made from real milk and ice cream, served in a frosty metal shaker. Jake's Wayback has also added new items to our menu, such as marinated grilled chicken sandwiches, veggie burgers, turkey burgers, and house-made chips, as well as the famous Burger and Shake of the Month. Sounds pretty good to me! Seems like a new burger joint is popping up every other month (Tommy's in Ventura, Umami Burger in Thousand Oaks, Red Robin in Thousand Oaks, Five Guys in Thousand Oaks, Sliders in Simi Valley...the list goes on) but hey, everyone likes a good burger, beef, veggie or otherwise. Location to be announced at a later date...visit waybackburgers.com for more information.